It is very easy and inexpensive to grow pumpkins. They belong to the gourd family, same as squashes, marrows and courgettes. Plants normally grow pretty big with a trailing vines along which the fruit grows. Although your pumpkins won’t turn into a carriage, they still have many other benefits. They have great nutritional value. They are delicious in a soup, pie, cake, risotto etc. You can also dry roast some of the pumpkin seeds. They are really healthy and tasty. Most common pumpkin association is with Halloween. Read on to learn more about how to grow this delicious vegetable in your own garden and make Halloween pumpkin carvings from your own product next year. 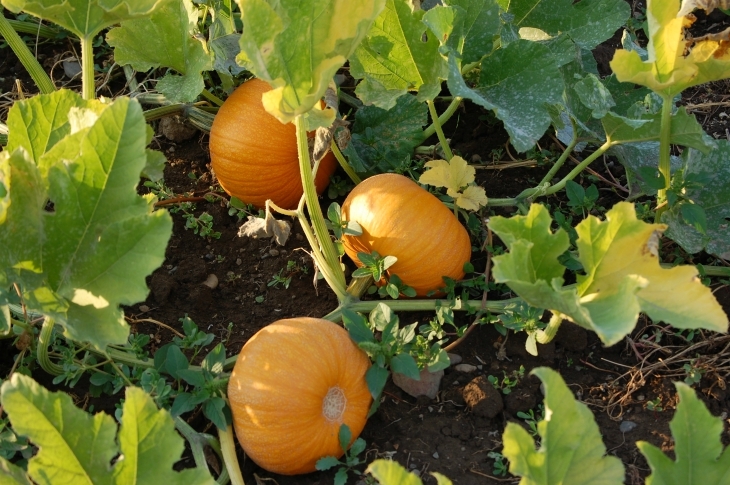 Pumpkins need a good amount of space and to be sheltered from the winds in order to thrive. Ensure them protected warm place where they can grow. If you don’t have enough space you can use twine to train the vines into spirals. You should also choose a place which doesn’t have standing water after heavy raining.